Guillermo Del Toro&apos;s sci-fi action flick Pacific Rim is casting up rather nicely, with Idris Elba and Sons Of Anarchy star Charlie Hunnam already attached. 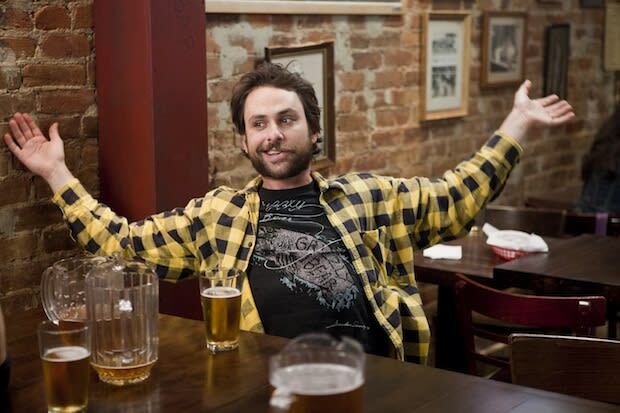 And now, Pacific Rim continues the momentum by adding Charlie Day&apos;s name to the mix. Known for his hilarious work on FX&apos;s It&apos;s Always Sunny in Philadelphia, Day is on the fast track to big screen notoriety, a move that will officially begin with next month&apos;s comedy Horrible Bosses. According to Variety, Day is circling the role of "some sort of professor" in Pacific Rim, which is about humans using massive, man-made iron giants to fight off an alien invasion. Pacific Rim is where Del Toro conveniently landed after the demise of his long-discussed adaptation of H.P. Lovecraft&apos;s At The Mountains Of Madness. Production is scheduled to start in September; meanwhile, the horror flick Don&apos;t Be Afraid Of The Dark, which Del Toro co-wrote and produced, is out on August 26.